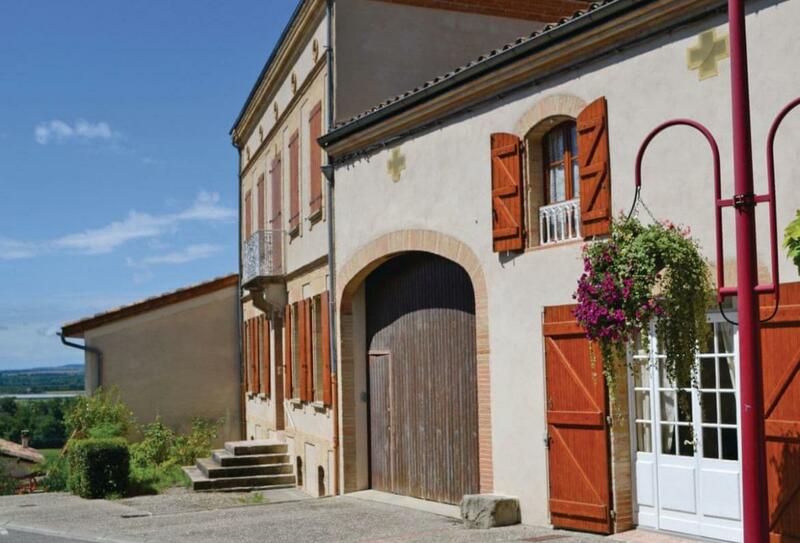 These delightful semi-detached holiday cottages are located in a small village between the bastide town of Montauban (18km) and Toulouse (36km), they are in an ideal location for exploring both rural and urban France. Toulouse is both cultural and cosmopolitan. Visit the famous St. Sernin Basillica, the Musée des Abbatoirs and the Cité d’Espace. Montauban is a ’town of art and history’ with plenty to amuse all ages and interests. Alternatively, stroll or cycle along the Canal du Midi which passes through the village or visit the bastide towns of Bruniquel, Penne and Puycelci, among others, which are guaranteed to impress. Take a canoe/kayak trip along the Gorges de l’Averon and enjoy the spectacular river valley with its rocky cliffs, rapids and rock pools. Shop and café/bar 3km, restaurant and shops 500m. Ground floor: Lounge/kitchen/diner, separate toilet. First floor: Utility room, bathroom with shower over bath and twin basins, separate toilet, 2 bedrooms: 1 double, 1 single. Gas central heating, DVD player, washing machine, dishwasher, freezer, shared enclosed lawned garden, garden furniture, barbecue, on road parking. Sorry, no pets. No smoking please. NB: Steep stairs to first floor, sloping ceiling in double bedroom.